Is Chinese Tea Good for You? Home > Dietary Supplements > Is Chinese Tea Good for You? The Chinese population are generally regarded as being fit and healthy with few early onset problems and many people believe this is because of their diet and levels of consumption among other things. Chinese tea is a staple part of the oriental culture and is not only used for its nutritional benefits but for its effects on health also. 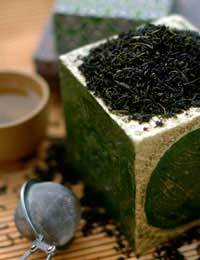 How Can Chinese Tea Be Beneficial? There are many reasons why Chinese tea is believed to be good for health. Not only is it thought to rid the body of toxins, the digestive system in general, but is also used as a slimming aid though the research behind these claims is limited.There are a small number of claims that Chinese teas can help in the treatment of heart diseases and diabetes as they may help to cleanse and purify the system and in some cases this may have some beneficial properties but perhaps it may be that it is due to the fact that the consumer is drinking clear fluid teas instead of fizzy drinks of those based on chemical enhancements. There does however appear to be supporting evidence to suggest that cholesterol levels may be lowered more noticeably in those who regularly drink Chinese tea and this may establish a link between the prevention of the onset of heart disease which may indicate a good enough reason to start drinking the tea often.Experts generally believe that compounds within the tea called polyphenols may cause these benefits and studies continue.It can be stated however that there is increasing evidence to support declarations that Chinese tea may help to prevent cancer and even in a minority of cases actually slow or stop the spread of cancer cells. Some experts however argue that these results are difficult to calculate as the person may have responded in the same way with other treatments. Can Chinese Tea Aid Slimming? The history of this subject is varied with many companies claiming to manufacture products that help people lose weight. Most of these companies rely on the general belief of the public that the teas are good for slimming as the majority of the Chinese population are slim with very little evidence of obesity.There are claims that certain compounds within the teas help to dissolve fats or speed up metabolism when in fact there seems to be very limited evidence to support these claims.Manufactures may be exploiting those wanting to lose a few pounds as most slimmer’s will be tempted to try many different products in their quest to lose weight. This is an area of much debate among specialists. Manufacturers often suggest that several cups a day will need to be consumed in order to reap the most benefits which may be driven by the chance of increased sales, whilst others state that only one cup a day will be sufficient as by drinking any more may cause sleeplessness due to the level of caffeine in the tea which may have other negative effects on health also. It is generally assumed that drinking Chinese tea is good for health and consumption has increased again in recent years as many celebrities seem to have taken up the fashion.Drinking Chinese tea will probably not harm your health (unless large quantities are taken) and may well provide some protection against many serious illnesses but evidence has still to unearth enough compelling evidence to state its benefits as a slimming aid. Do Slimming Pills Really Work? Chinese tea does work! In all cases I drink at least 1 pot of tea a day and I used to get bad circulation and since drinking the tea for the last 5 year's it has improved by 90percent so thats good enough for me.